No doubt about it—we’re headed in to the busiest time of year. Thanksgiving is next month and shortly after that things will get even busier with kids out of school, Christmas and the New Year. And now you find out that you have a tooth that needs a dental crown! When are you supposed to find the time for that, too? Don’t worry, Painted Skies Dental Center offers CEREC in Las Cruces, so you can have a dental crown completed in just one appointment. 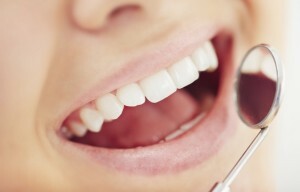 A traditional dental crown requires setting aside time for two visits to the dentist. At the first appointment, the tooth is prepared, an impression is taken and you receive a temporary crown to wear over the weeks that it takes the dental lab to create a permanent crown. Then at the second visit, the temporary is removed and the dental lab crown is attached. CEREC, on the other hand, condenses all of these steps into just one visit, including the manufacture and placement of the finished crown. At Painted Skies Dental Center, Dr. Raymond Ortiz—called Dr. Ray—is our resident CEREC expert. He is a mentor at the Scottsdale Center for Dentisty, helping dentists learn more about CEREC, and he is also the Patterson Dental CEREC trainer for Southern New Mexico and El Paso, TX. CEREC, which stands for Chairside Economic Restorations of Esthetic Ceramics, has three main components. The first is an intraoral digital camera that we use to capture a visual image of your tooth—much easier than sitting with a mouthful of impression material, which is always a requirement with traditional dental crowns. Second is the CEREC computer system that is loaded with special software to design your new crown. This design includes the exact size and shape of the crown, as well as a precise color matching system. Finally, the in-office milling unit carves your same-day crown with the aid CAM technology. To begin the process, Dr. Ray administers anesthetizes the tooth and surrounding tissue. Then, any decay is removed and the tooth is resized and reshaped to accommodate the crown. Based on the image from CEREC’s digital camera, the computer creates a 3D representation of your tooth and designs the crown. This information is then transferred to the milling unit where your new crown is made to order in about 20 minutes. When completed, Dr. Ray cements the crown in to place and you’re done! If you would like to learn more about CEREC, or to determine if CEREC is right for you, contact Painted Skies Dental Center to schedule a consultation with Las Cruces dentist Dr. Ray.